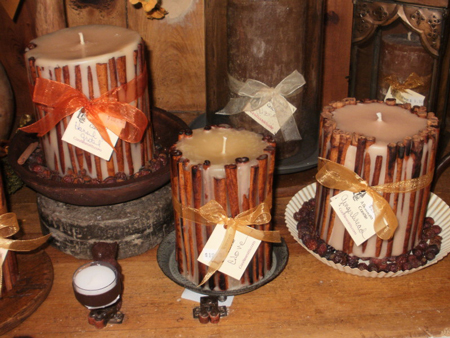 Our Cinnamon Stick Candle has a scented core which will burn out leaving the cinnamon stick exterior that can be refilled with a tea lite or votive allowing for additional hours of enjoyment. We pour this candle using a white or cream color wax, keeping it light to give you maximum glow when burning. We recommend burning until the liquid pool is about 2″ in diameter, then extinguishing. Repeat 3-4 times, or until the hole in the center is deep enough to insert a tea light or votive where the wick is below the top of the candle. 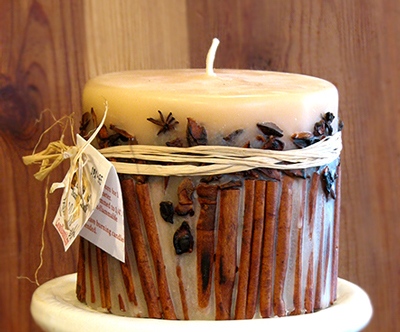 Then enjoy the beautiful glow of the flame through the outer wax and cinnamon sticks.